Why no, this isn't my first visit to Shade, you shrewd minx, you. But it's been a while since I've been to the Houston Heights restaurant, and I've only been for Happy Hour (which btw is great, and super affordable! ), so I wanted to give a recap of my recent dinner there! Jon and I decided to dine at Shade on the Saturday night before Valentine's Day because, a) he had never been there, and b) Shade wasn't forcing a Valentine's Day prix fixe-only food menu on us. And lucky for us, while Shade did offer a Valentine's Day prix fixe menu, we had the freedom to select our food from the restaurant's regular menu. Because this is America. 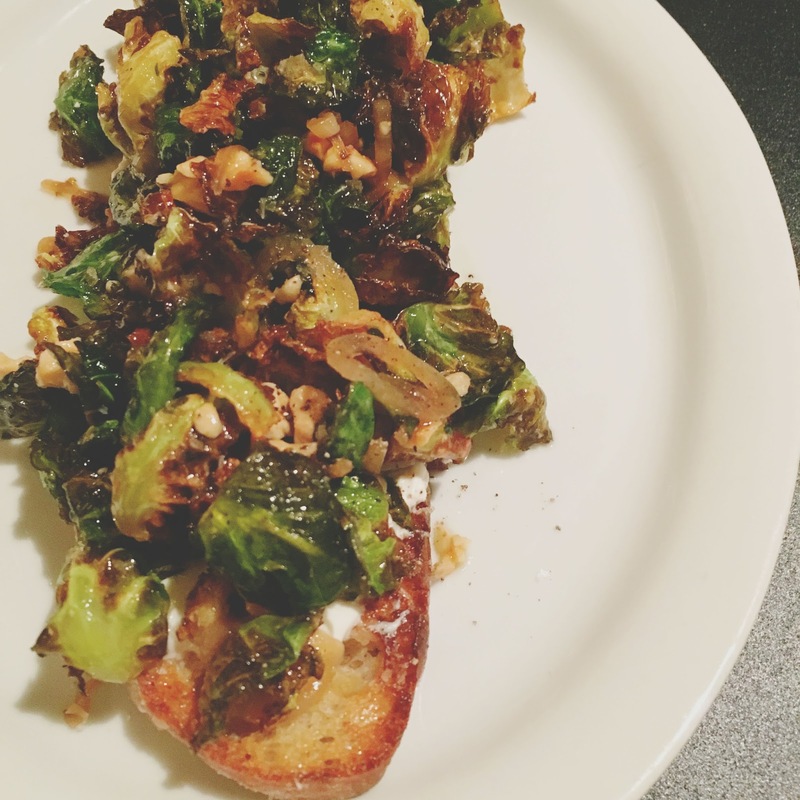 First off, I started with what is definitely in the running for one of my favorite dishes in Houston this year: the burrata toast with crispy brussels sprouts, honey, and hazelnuts. I also think there were some caramelized onions thrown on there for good measure. Y'ALL this was so freaking unbelievable, I'm sitting here drooling thinking about it. The brussels were sweet, juicy, and lightly crisped. The burrata was smooth and mild, the hazelnuts offered an interesting layer of texture, and the toast was fresh and crunchy. The sum of all parts was absolutely phenomenal! For my next round of food, I ordered the restaurant's shaved vegetables salad. 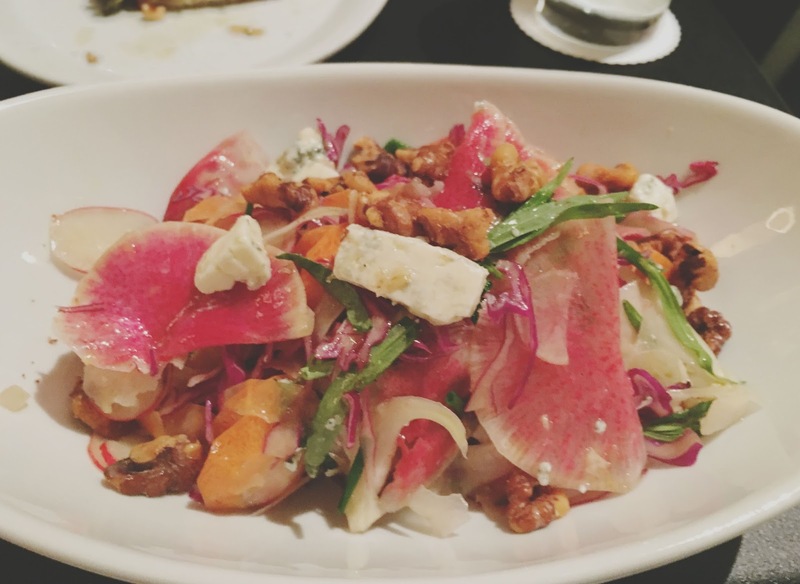 A beautiful array of shaved vegetables which included carrots, radishes, turnips, and onions were tossed with blue cheese, spiced walnuts, champagne dressing, and herbs. The fresh vegetables were crunchy and playful, and the champagne dressing was light and tangy. The healthy-sized chunks of blue cheese and the walnuts were a welcome addition and went perfectly with everything. For my main course of food, I ordered the eggplant steak. 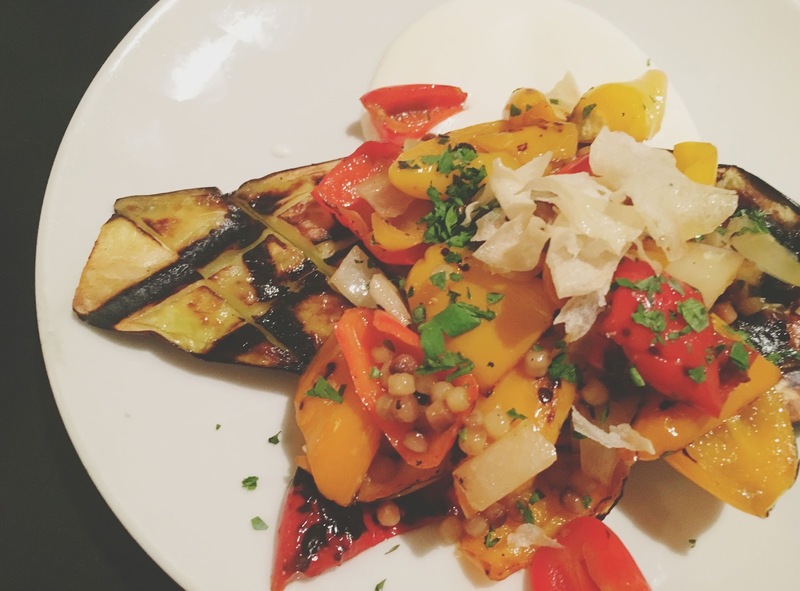 Sliced and grilled eggplant was topped off with charred sweet peppers, calabrian chili, goat cheese sauce, and garlic chips. The presentation of this dish was gorgeous and once again very colorful. I did enjoy it, though I found the peppers to dominate the dish a bit. I didn't get to relish in the eggplant or the goat cheese sauce nearly as much as I would have liked. I love peppers, so this wasn't a major issue. I simply wanted to enjoy the other components just as much. 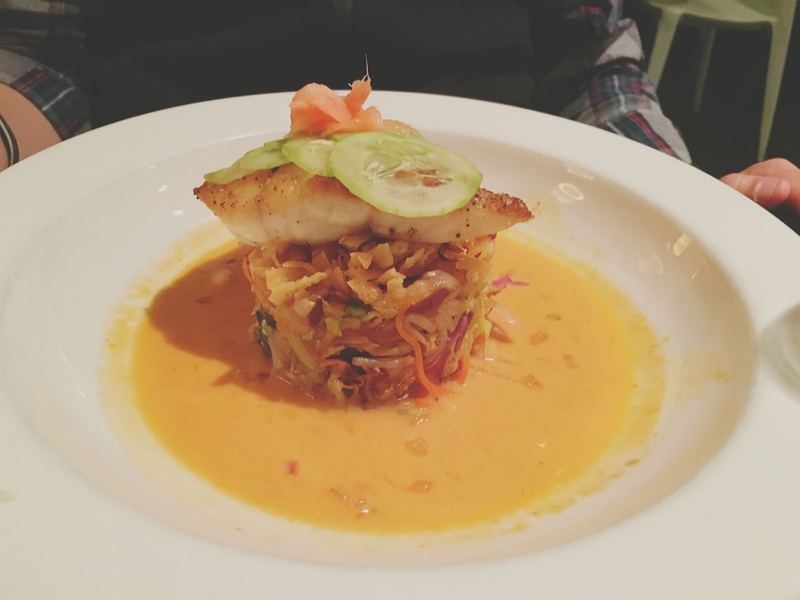 Jon ordered the snapper, and though it was a pretty tiny cut of fish, he said it was prepared incredibly well. For dessert, Jon ordered the coconut cream pie with hazelnut crust, and I ordered the flourless chocolate mousse cake. Jon went crazy over his pie, which was incredibly light, and not overly sweet. 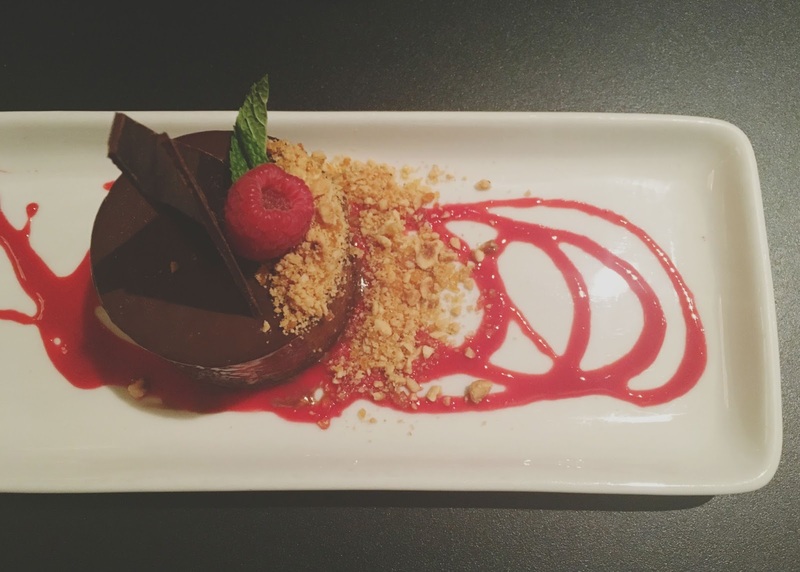 I preferred my chocolate mousse cake, topped with raspberry coulis and chocolate ganache. 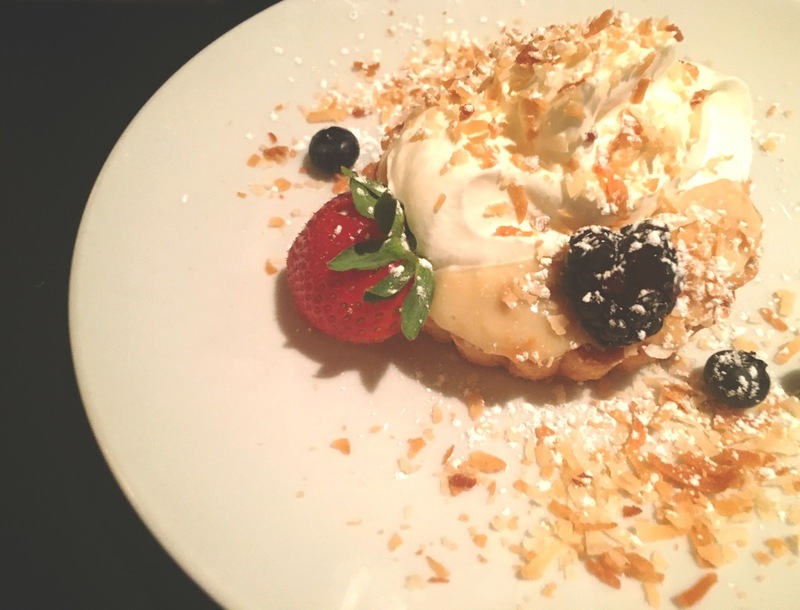 Incredibly rich and indulgent, it was one of those desserts you take your time oohing and ahhing over. I was a big fan! From start to finish, Jon and I had a great time at Shade. 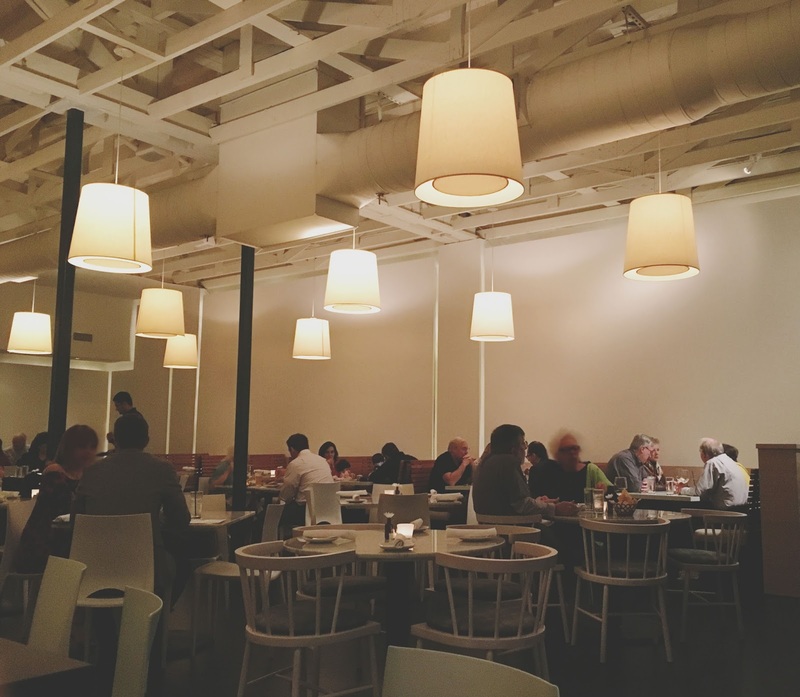 The Houston Heights restaurant is open, airy, and minimal, yet incredibly cozy. The service is great, and the food is exceptional. 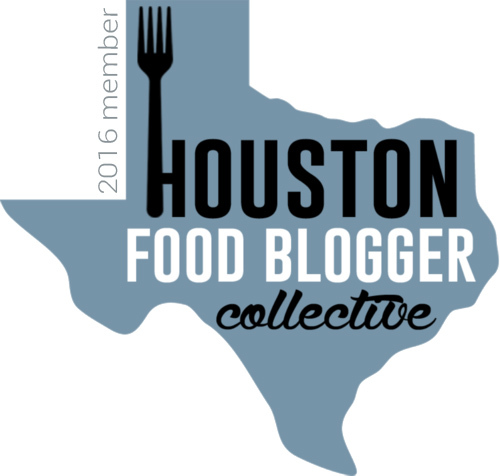 Shade has been an established Houston restaurant for several years, and I am happy to report that their dishes are still carefully crafted, interesting, beautifully presented, and delicious! You want this cake, you saucy little devil, you.